Whenever it comes to the point of Hotel Management in career, IHM is the first name that comes to mind. Students who aspire to make their career in the hospitality industry and seek for quality education in this sector, always look ahead to IHM. There are total 21 Institute of Hotel Management in India, which offers class apart education in Hotel Management industry. Needless to mention, these institutes are considered the most prestigious and well-recognized establishments in hospitality education sector on the national and international level too. 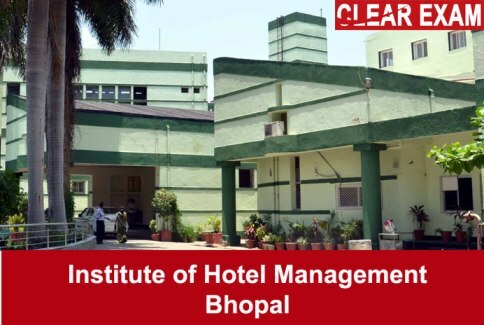 Institute of Hotel Management, Bhopal is one of the 21 IHMs across the country. The institute is centrally located near Academy of Administration in Bhopal. Sponsored by the Ministry of Tourism and Government of India, Institute of Hotel Management, Catering Technology & Applied Nutrition, Bhopal is considered one of the top hotel management institute in the country. Like all other IHMs, admissions to IHM, Bhopal are done on the basis of All India Rankings (AIRs) scored by eligible students in NCHM JEE examination. For those, who don’t know about NCHM JEE, it is a Joint Entrance Exam held at national level for admission in 51 institutes include all IHMS, state government colleges and few private colleges of hotel management. The NCHM JEE exam is conducted in the month of April every year and the application forms are made available from the month of December. Students who have qualified class 12th examination or appearing for the exam can also appear in the exam on a provisional basis. To impart knowledge in most professional and technical manner, IHM, Bhopal offers great facilities to students on each point of learning. The facilities offered by institute include Advanced Bakery & Food Production Lab, Audio Visual Room, Training Restaurants, Housekeeping & Guestroom Management facilities, Computer Lab, Library and Front Office. To get more information about hotel management entrance exam like NCHM JEE, NCHM JEE result, syllabus, important dates or about other IHMs, visit Success Mantra’s Hotel Management article section.